Our bar at PorterHouse is dominated by a full array of fine spirits and liqueurs. You will find a generous selection of 30 Single Malt Scotches, your favorite Bourbon, and fine Cognac. In addition to our classic Martini, we have an incredible list of craft cocktails. On any day of the week, you are welcome to enjoy all of our steaks, chops, and seafood at our bar or lounge as well. 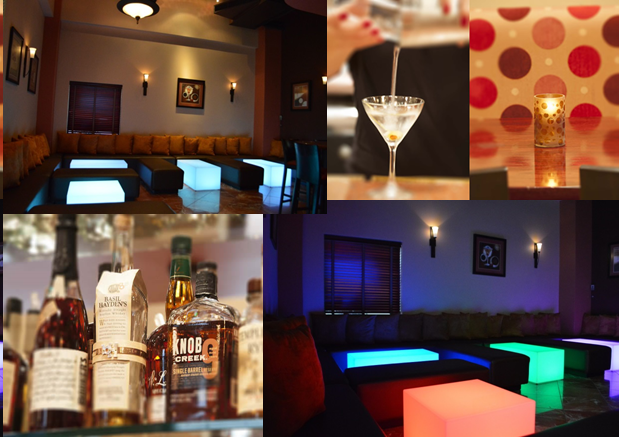 The contemporary setting of PorterHouse's lounge is fitting for either company get-togethers or an intimate rendezvous. If interested in hosting a cocktail reception for a company meeting or a celebratory occasion, our Chef has an appealing selection of Passed Hors d'oeuvres.